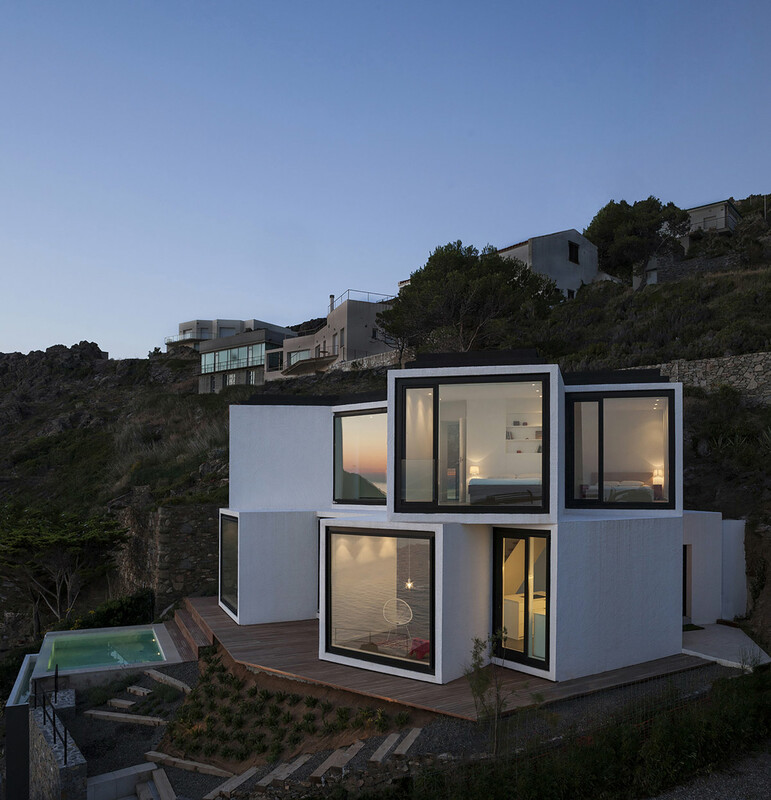 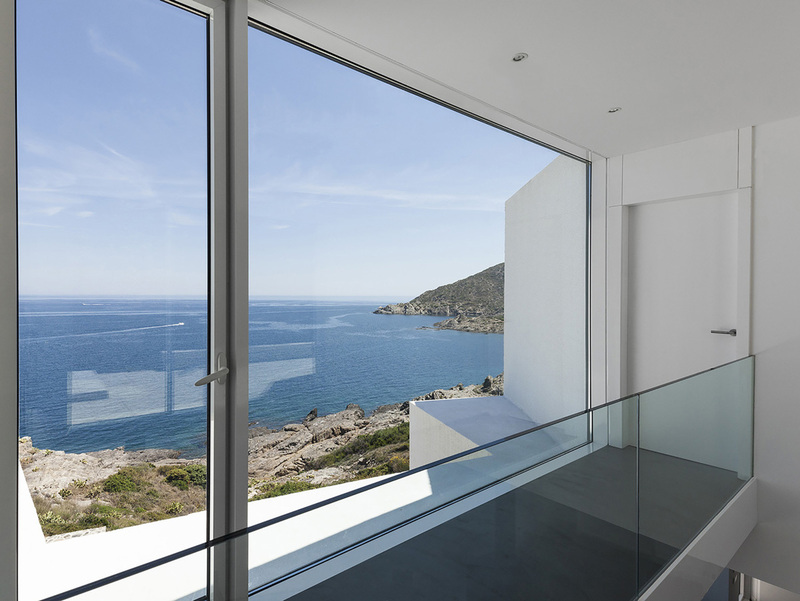 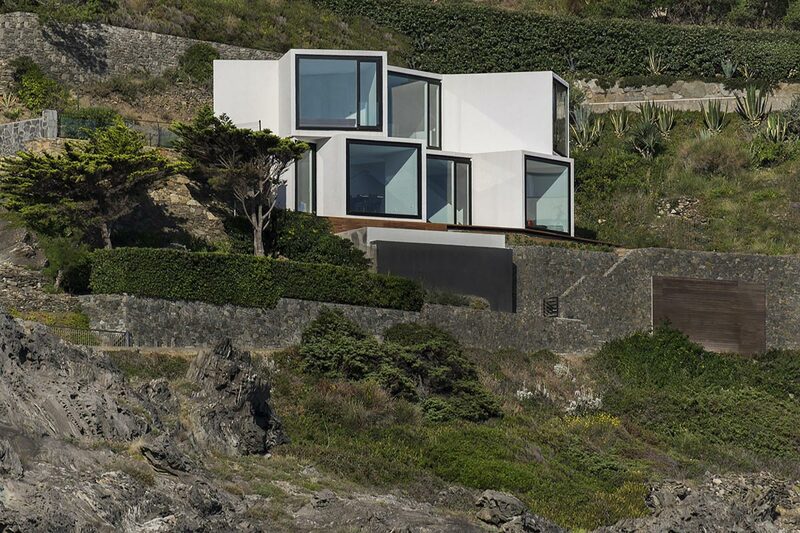 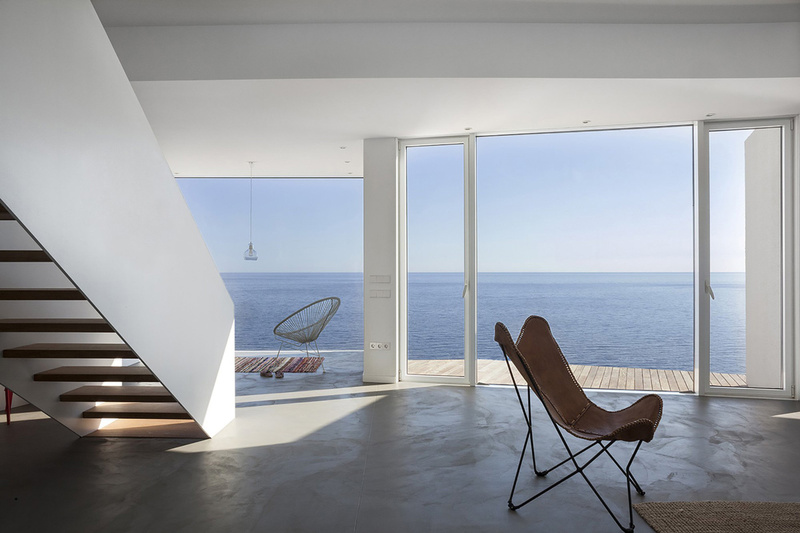 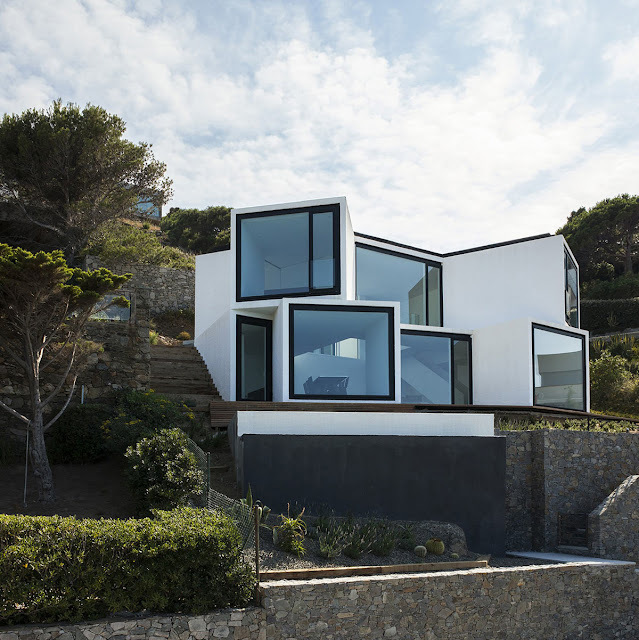 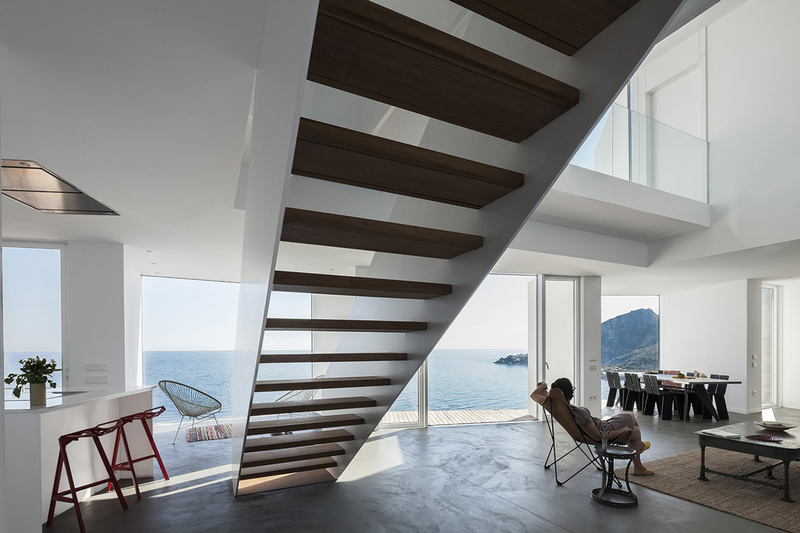 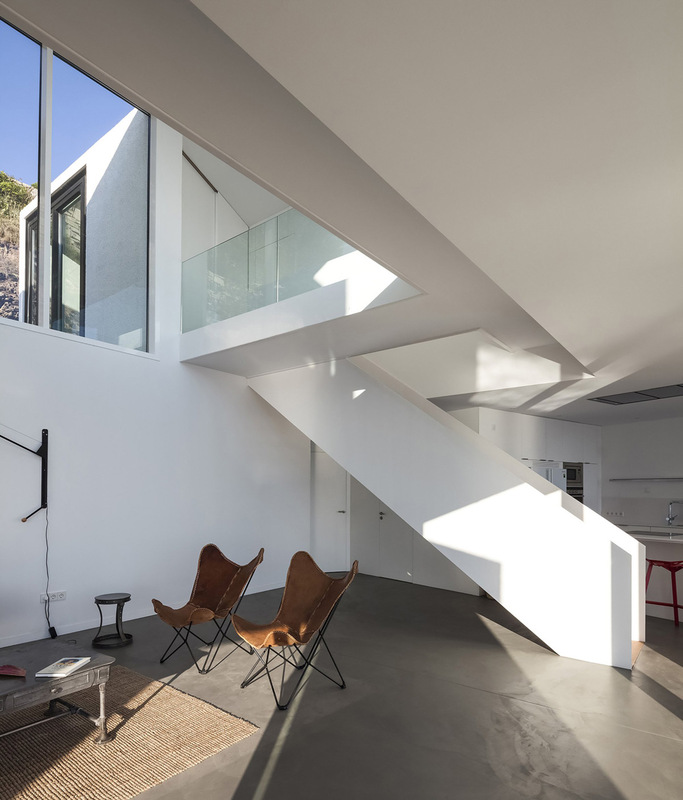 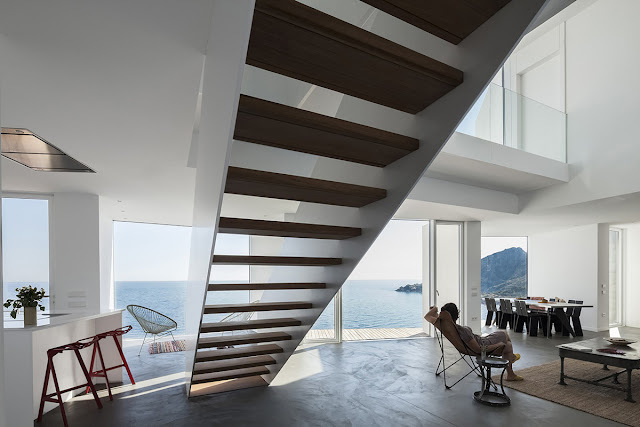 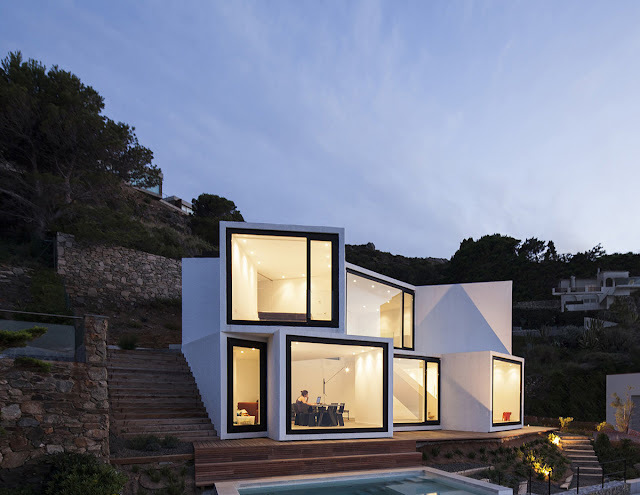 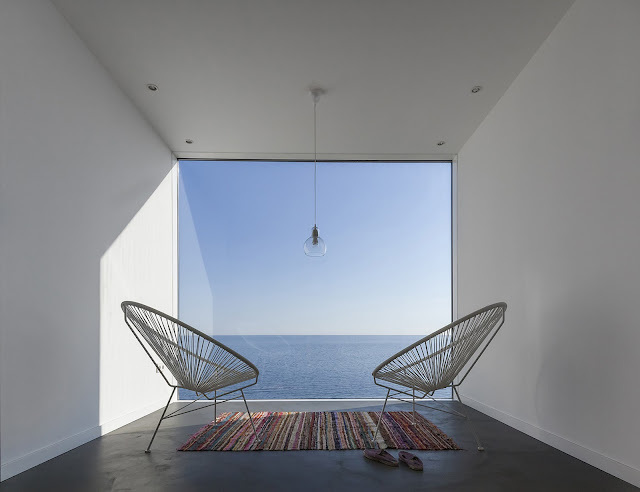 Architects Cadaval & Solà-Morales designed the Sunflower House, located in one of the most beautiful areas of the Spanish coast in front of the Mediterranean sea. 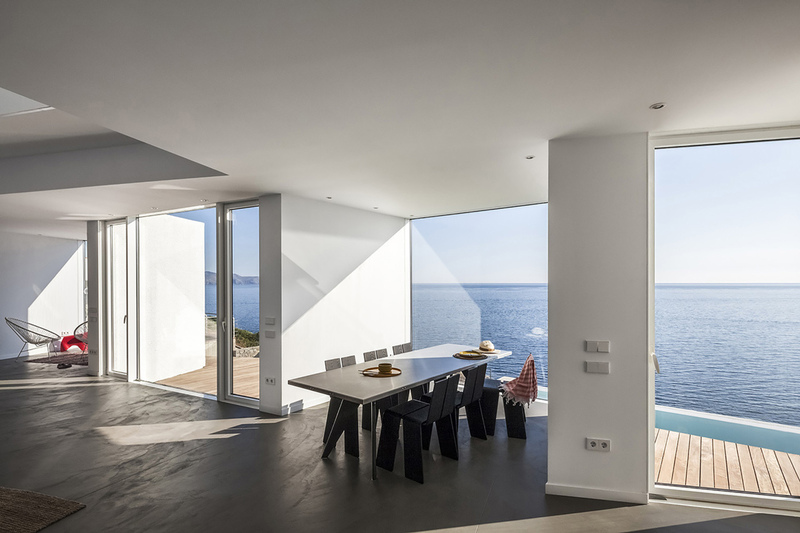 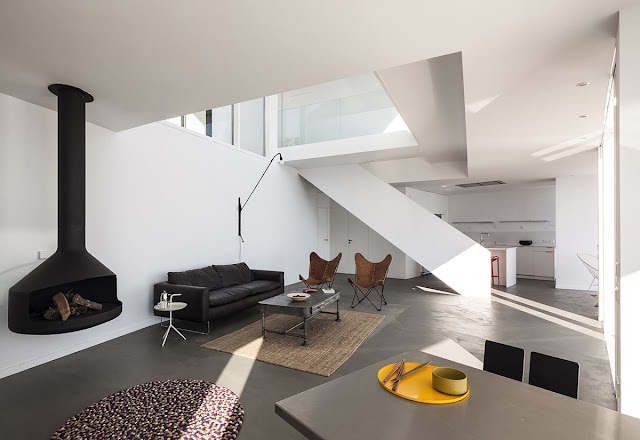 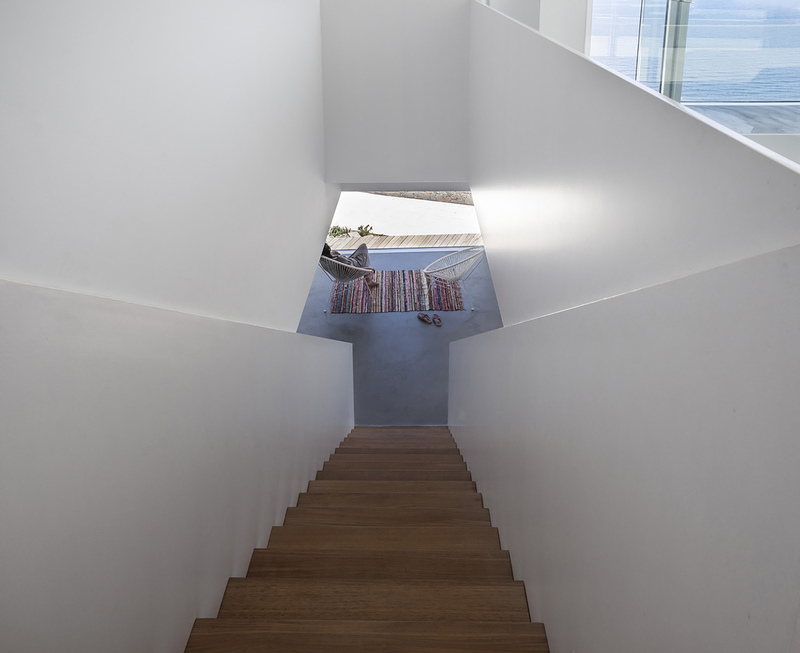 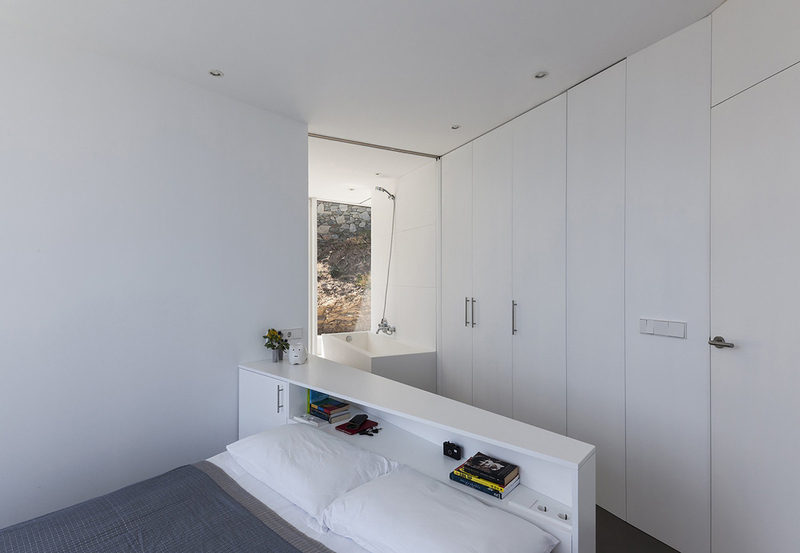 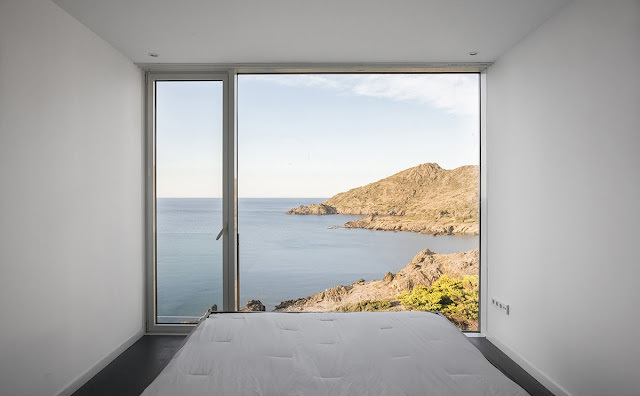 The minimalist house relates directly to its surrounding landscape, framing views through openings of different orientations, configured so that that every space in the house has its unique relationship with filled with the sun, the mountains and the sea. 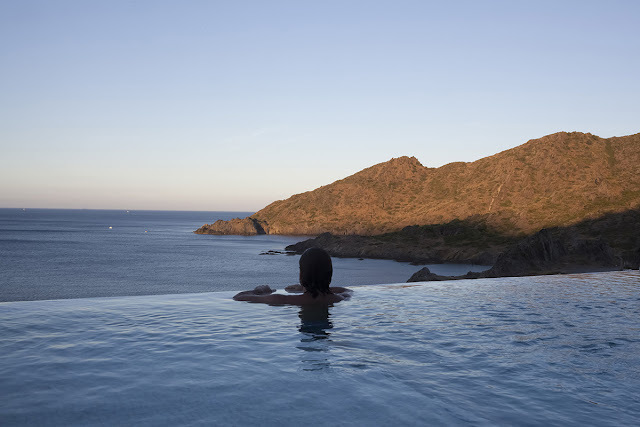 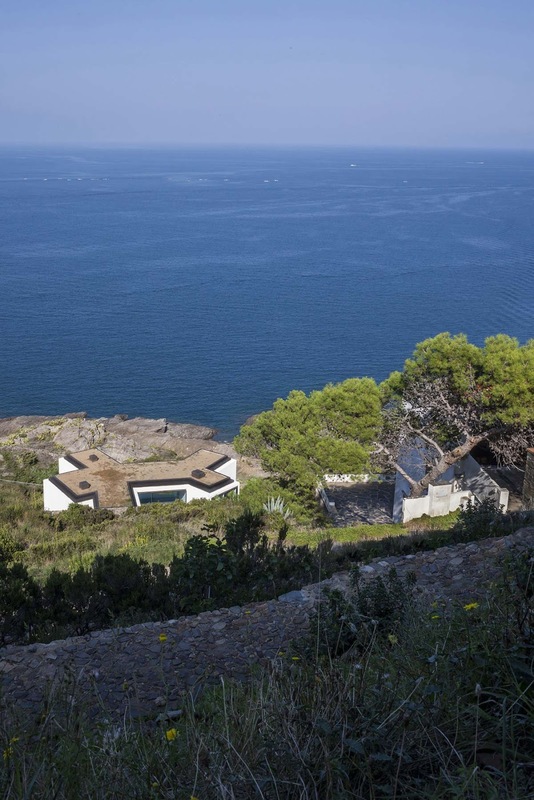 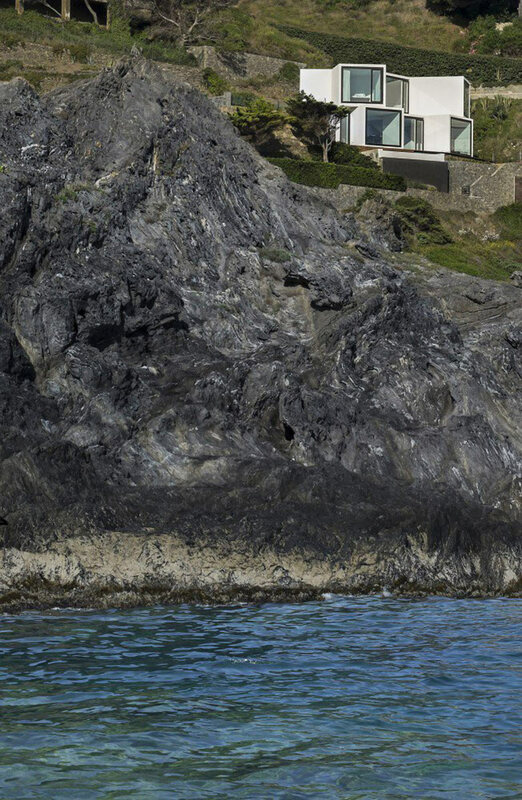 “The Sunflower house sits on a privileged condition of limit; in the border within the water of the Mediterranean sea and the hard rock of the Costa Brava, between the wild nature of Cabo de Creus and the urban settlement of El Port de la Selva, a small fisherman village in the border of France and Spain. A place where the Pyrenees get into the water, generating an exceptional wildlife richness, both in the coast and in the water. 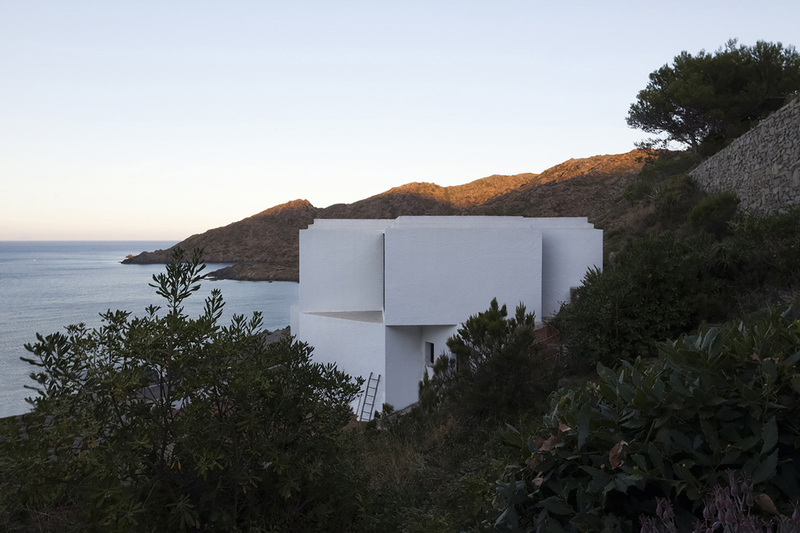 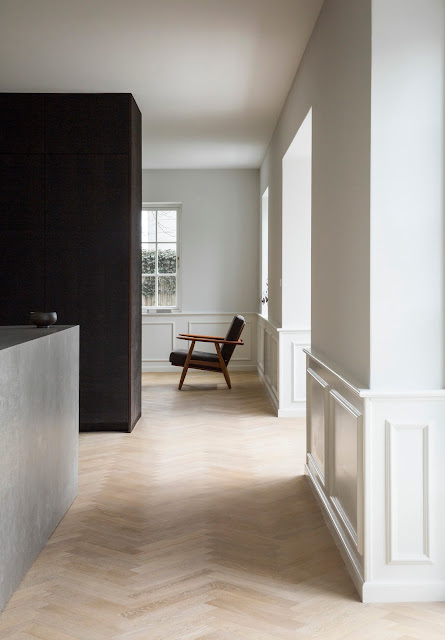 The house wants to identify each of the particularities of this magnificent landscape; with its geometry, the house frames a multiplicity of different and specific views, and builds up content spaces that inhabit great big framed views.